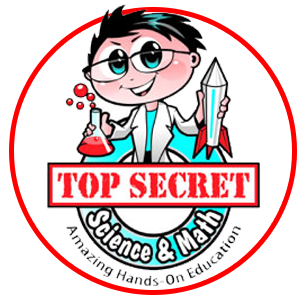 At Top Secret Kids, we get you prepared for all the fun programs because that’s what educators, parents and children want. We have programs that are different, unique and fun. Top Secret Kids is really what being a child is all about: inventing, creating, exploring, problem solving, wondering, and dreaming. And, it’s almost all paid for by parents, PTA’s and other organizations – so schools don’t feel the burden of budget constraints. We package our activities in a variety of different ways including three basic programs plus other profit centers that continue to make a Top Secret Kids’ License very attractive and very financially rewarding. This program is exciting and alive, and kids and teachers just rave about the benefits. Some companies just concentrate on niche markets like science, cooking or sports. Here at Top Secret Kids we can reach a huge percentage of children for one or more of our programs. These are fantastic parties for kids age 5-14 because they are action packed and exciting. Parties are 1 – 1 1/2 hours in length and are all inclusive. There are many options to choose from along with add-ons. They are an exceptional educational and entertainment value. It’s mess-free and hassle free for the parents. The typical party grosses between $200 and $450. Our after school classes are one hour in length and meet once a week for eight weeks throughout the year. 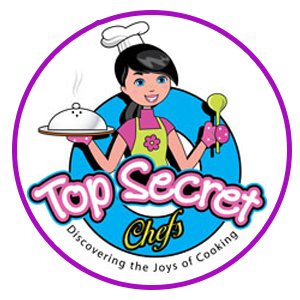 They can take place at schools, day care centers, recreation centers or other convenient gathering places, or can take place in your own Top Secret Chef Kids facility. We focus on building specific skills based on age and grade levels. They are totally hands-on and interactive and students get to make incredible products to take home with them. These are positive experiences and kids can’t wait to take the following sessions. Every child enjoys a special event especially if it’s a spectacular school event. Kids want to understand why everyday things work and how they can become little Top Secret Scientists, Chefs or fitness professionals at home or in school. These events are workshops, assemblies, or just a one time class working on a specific topic. Be assured that you’ll be prepared for whatever they need or ask for. There are many other areas which also serve as excellent profit centers including summer and school vacation camps, Ladies Night Outs, cooking fairs, cooking nights, home school classes, videos and books, family science or cooking night programs, teacher workshops, teen nights, scout programs, corporate programs, and retailing a wide range of products.